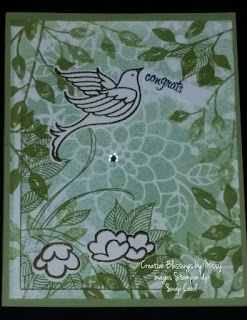 Well it's Thursday already and the week is speeding by for me- Ended up working extra at my full time job this week so not time to create something new, but I wanted to share another stamp set that is being loved by many and I received a swap card recently. The Serene Garden Bundle has lots of beautiful elements. 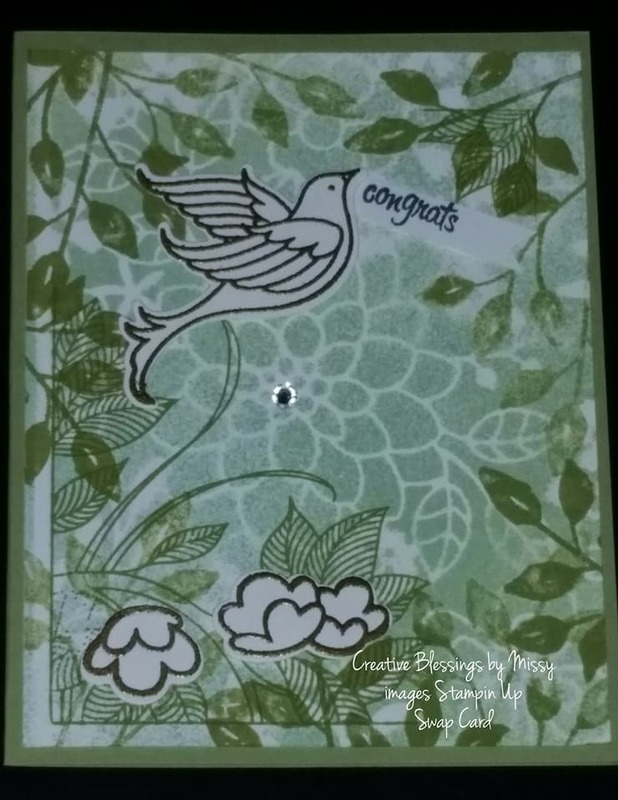 Here is the swap card I received - card designed by Judy Pinner.